How was everybody’s weekend? I didn’t really plan to take the weekend off from blogging, but it worked out that way and it was nice to be unplugged a little more than usual! Last week was a very busy cake week and this upcoming week will be even more busy, so it was nice to have a little down time. 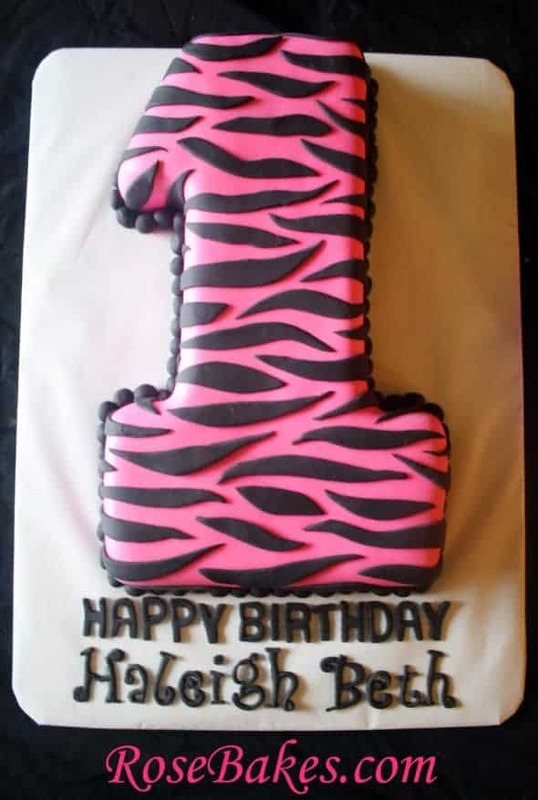 So, today I wanted to share with you this Hot Pink Zebra Stripes “1” Cake. 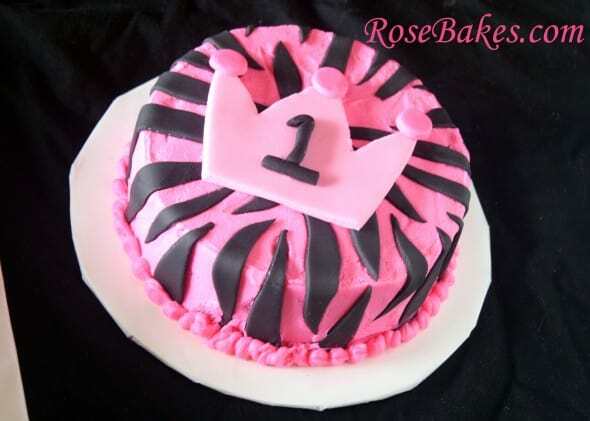 This was for Haleigh Beth’s 1st birthday and for her party, they were going “all out” with a hot pink and black zebra theme… and she was a princess! For the letters on the board, I used my favorite Funky Alphabet cutters and the Ateco Alphabet Cutters set. Isn’t that great? I just cut off a diagonal to make the “1” more pointy at the top. 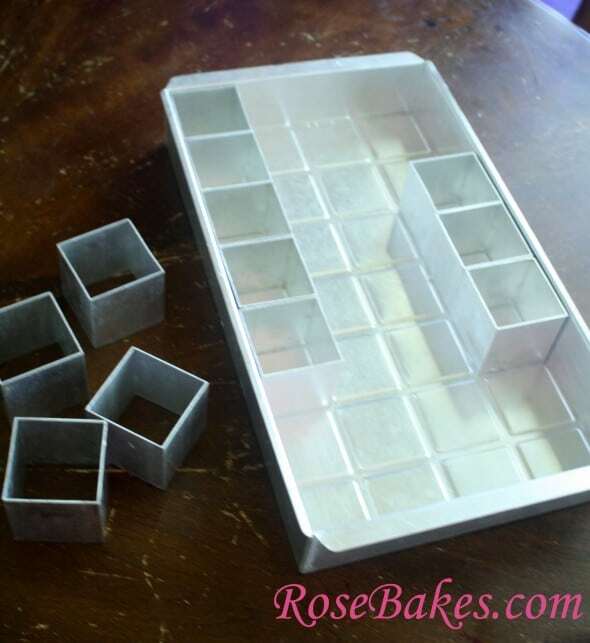 Oh, and you need to make it backwards so that when you flip it out of the pan, you can decorate the flat side and it’ll be pointed the right way. As for me? I forgot to do that so I had to cut the little top part off and move it to the other side! Go figure! Anyway, I also did a smash cake for Haleigh Beth and added a princess tiara to it for her. The hot pink was buttercream, the stripes were Satin Ice Black Vanilla fondant and the tiara was homemade marshmallow fondant. And guess what? 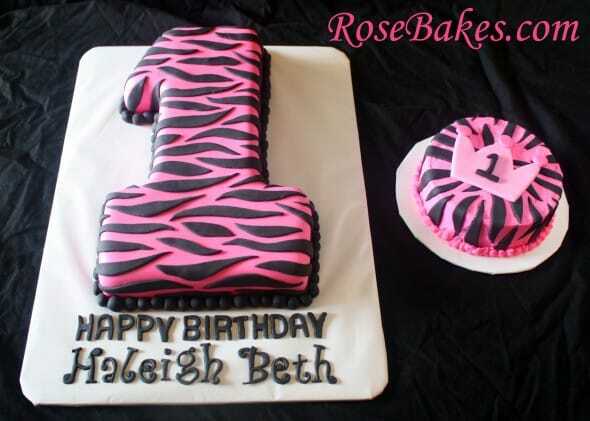 This cake was also zebra on the inside!! 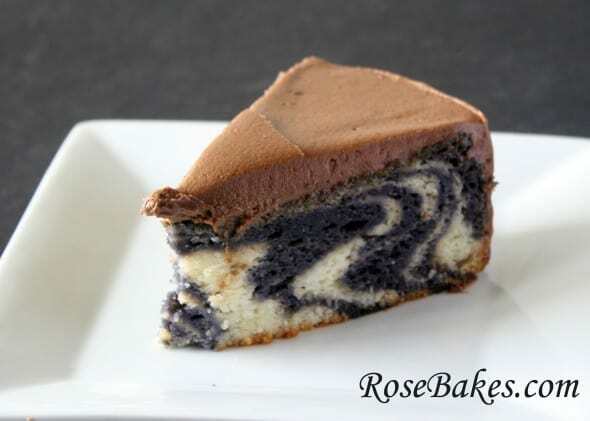 This little cake was done with some extra batter I had leftover… and some chocolate frosting from another order. The color combo is not all that great, but I just had to show you what it looked like! 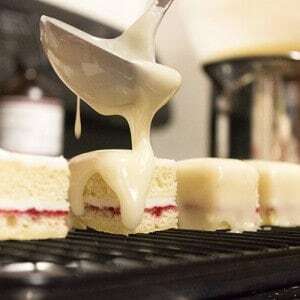 And tomorrow I’ll how you how to make zebra stripes on the inside of a cake!